Spring has arrived and that means staff at the Sarah Orne Jewett House Museum and Visitor Center in South Berwick, Maine, are busy getting everything ready to welcome you. 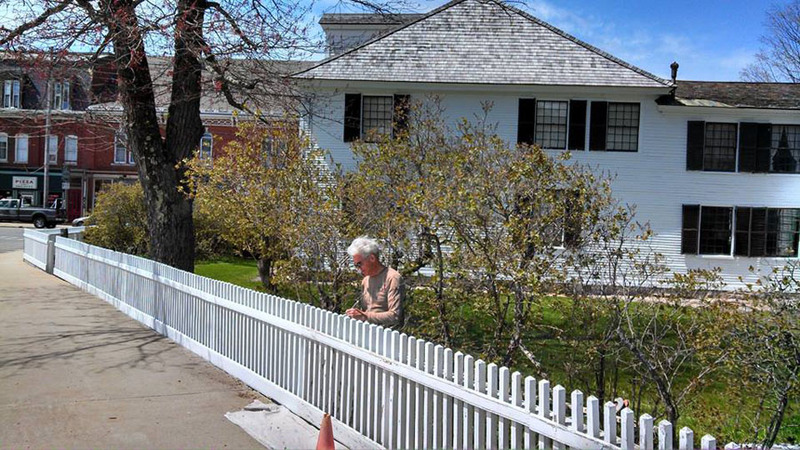 On a recent morning, Bruce Teatrowe applied a bright new coat of white paint to the fence that surrounds the grounds. The fence refurbishment is just one of many improvements happening this year. Scott Baldelli and other members of Historic New England’s property care team are working to install a new pathway between the house and a new visitor center opening this month. House tours now start at the entrance that would have been used by Jewett’s guests, and an exciting, year-round slate of programs are planned for this year, including our inaugural exhibition Here by the Sea: Contemporary Art of the Piscataqua.